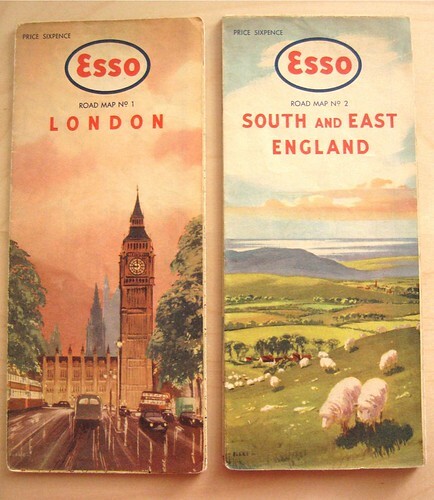 These Esso maps from the 1960’s were a great ebay bargain find. I particularly wanted the London map, as the cover illustration was just stunning. Collecting motoring maps from the 30’s onwards has become a bit of a hobby of late, and I’ve started uploading photos of some of them to Flickr.